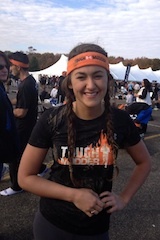 So you can imagine how proud we are of Rock Creek Sports Member and college student Lily Kehoe who recently completed the Mid-Atlantic Tough Mudder held in Frederick, MD! Congrats Lily! To get an idea of just how tough this challenge is, check out the video below!